The U.S. firm has nabbed a four-partner Middle East team as well as a three-partner Washington, D.C., team from Squire Patton Boggs. Morgan, Lewis & Bockius is opening its first Abu Dhabi office with an eight-lawyer team hire from Squire Patton Boggs. 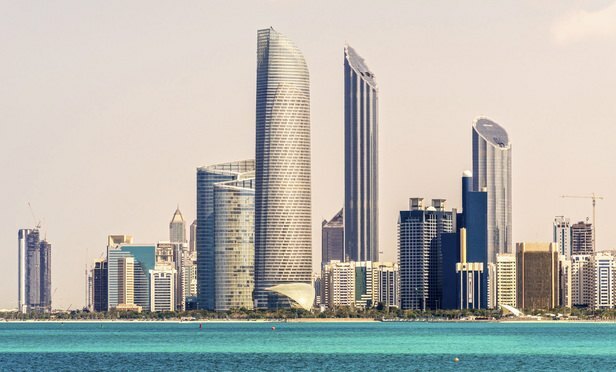 The move coincides with an additional seven-lawyer hire from the same firm in the U.S.
Four partners, four associates and 13 support staff will join Morgan Lewis in the Middle East for the new base, which will open on March 1 and will be led by former Squire Abu Dhabi office head Bill Nash. It will include funds partner Alishia Sullivan and corporate partners Mark Gilligan and Jay Gladis. Additionally, Morgan Lewis has also hired three partners, four associates and three support staff from Squire’s Washington, D.C., office. That team is led by Courtney Nowell, who headed Squire’s sovereign and institutional investors practice. She is joined in the move by Squire’s private investment funds practice head, Gregg Buksbaum, and tax partner, Kathryn Hambrick. The Abu Dhabi and Washington teams have worked closely together for over a decade, with team heads Nowell and Nash working with the same core clients for the past 12 years. Morgan Lewis managing partner Steven Wall said it is not a coincidence the two teams were approached together. “Although these teams come from two different parts of the world … they’re very closely connected and have worked together for a very long time,” he said. Squire will keep its Abu Dhabi base open, serviced by lawyers from its other Middle East offices in Riyadh, Doha and Dubai. The firm said the reshuffle is part of a global re-evaluation of its positioning in the different regions. Squire also closed its Budapest base at the end of last month, with the exit of the office’s four-lawyer team, including dispute resolution partners Judit Kelemen and transactions partner Akos Mester. It is not yet known by the firm what they plan to do next. “Like any well-run business, we constantly evaluate how to best support clients and respond to shifting market needs. We have deep connections in both the Middle East and Central and Eastern Europe that go back decades and will continue to support clients through a hub of regional offices in each of those markets,” Squire’s CEO global chairman Mark Ruehlmann said in a statement. The Budapest closure follows a trend of international firms calling time on their Central and Eastern European offices. Last year, Weil, Gotshal & Manges closed its Budapest office and announced it would be closing its Prague office. There are also questions about the future of its Poland office. In 2014, Norton Rose Fulbright closed its Prague office, and a month later Hogan Lovells announced it would be doing the same.